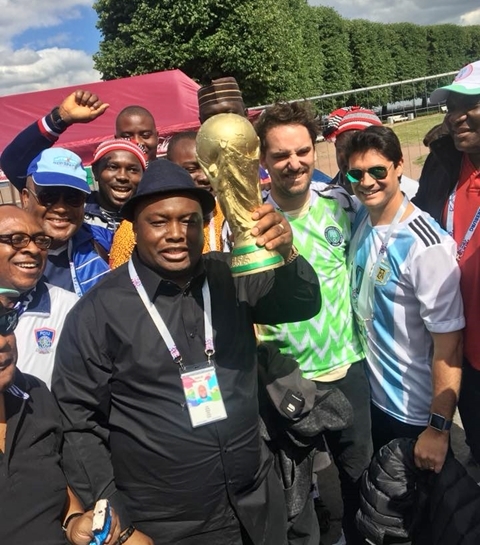 A Billionaire Nigerian businessman,who is identified as Dr. Patrick Ifeanyi Ubah, and football lover, captured the attention of the camera as he arrived St Petersburg in Russia to support Super Eagles at the 2018 World Cup. 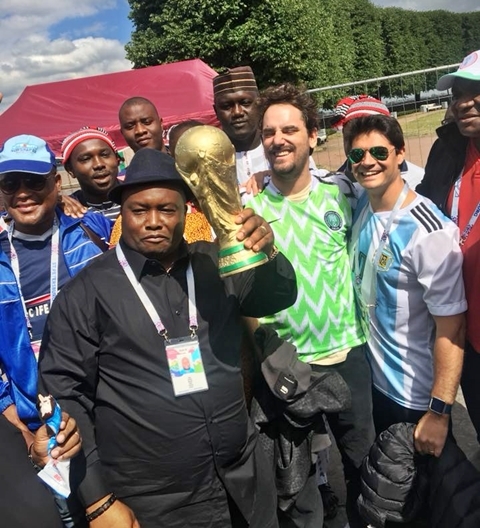 The CEO of Capital Oil and Gas, was pictured as he arrived Vasilievsky St. Petersburg, the venue of Nigeria vs Argentina do-or-die group stage match. By 7:00pm today, the Nigerian national team, Super Eagles which fell 2-0 in favour of Croatia in their opening match, and later defeated Iceland 2-0 in the second group game, will play against Argentina in their third group game. In five previous appearances, the Eagles have had to play Argentina in the group phase on four occasions. It was only in France 1998 that both teams ended up in different sections. Meanwhile, Coach Gernot Rohr has admitted that the Super Eagles must be on the attack against Argentina in Saint Petersburg on Tuesday and diligently take the chances that come their way against the two–time World Cup winners. “Simply put, we must take even half chances, and be on the offensive as much as possible. Perhaps, a draw could be good to qualify, but we cannot think and play for a draw". "Sometimes, when you play for a draw, you get punched in the face late in the day. It will be a tough game and we must go with a tough mentality from the start to the end."